Sleek silver case with bright color accents. Large digital display. 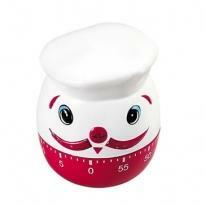 Includes clock, alarm, stopwatch and day-of-the-week display. Neck rope included. Product Size: 3-3/4"H x 2"W x 1/2" Imprint Area: 1/2"H x 1/2"W Weight: 100 pcs./14 lbs. 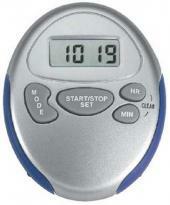 LCD Stopwatch with day, time and alarm functions. Product Dimensions: 2-1/2"H x 2"W x 1/2"D Imprint Dimensions: 1/2"H x 3/4"W Extra color/position imprint add $55.00 set up, plus running charge of $0.80 per piece for quantities of first two pricing columns, $0.40 per piece for quantities of last two pricing columns. Gift box and battery included. Units/Weight Per Carton: 200 pcs/22 lbs. Product Dimensions: 2-3/4"H x 2"W Imprint Dimensions: 1/2"H x 1"W Extra color/position imprint add $55.00 set up, plus running charge of $0.80 per piece for quantities of first two pricing columns, $0.40 per piece for quantities of last two pricing columns. Gift box and battery included. Units/Weight Per Carton: 200 pcs/23 lbs. 1/100th second stop watch. Split / laptime. 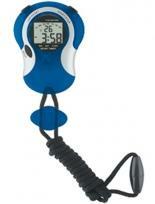 LCD also displays time, date & day. 20", non breakaway cord. Side rubber grips. Includes: 1 watch battery. Pack/Weight: 200 PCS. / 15 LBS. Dimensions: 2.25"W x 2.75"H x .35"D Imprint Size: 1"W x .25"H Packaging: Individually Boxed. The perfect health & fitness gift. Alarm chime. 1/100th second stopwatch. LCD also displays time, date & day. 21" break away cord. Side rubber grips. Pack / Weight: 200 PCS. / 27 LBS. Unit Size: 2"W x 3.5"H Imprint Size: .75"W x 1"H. Packaging: Individually boxed. The perfect health & fitness gift. Alarm chime. 1/100th second stopwatch. LCD also displays time, date & day. 21" break away cord. Pack / Weight: 200 PCS. / 27 LBS. Unit Size: 2 1/2" Round Diameter Imprint Size: 1"W x .5"H. Packaging: Individually boxed. Sleek silver case with bright translucent accents. 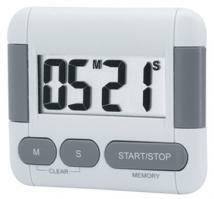 Clock, alarm, stopwatch and day-of-week display. Large digital display. Convenient neck rope. Product Size: 3-3/4"H x 2"W x 1/2" Imprint Area: 1/2"H x 7/8"W Weight: 200 pcs./29 lbs. Metallic silver case with bold color buttons and accents. Large circular digital display. 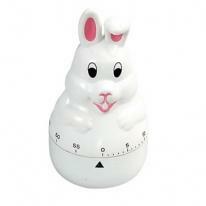 Displays time, day-of-the-week and seconds. Daily alarm and hourly chime. Precise timing to 1/100 second. Neck rope included. Product Size: 2-1/2"h x 3"w x1" Imprint Area: 3/8"h x 7/8"w Weight: 200 pcs./33 lbs. Square : Plastic finished 60 Minutes Timer Size : Appx. 2" x 3" Imprint Area : 1/2" x 3/4" PCS/LB : 100/30. 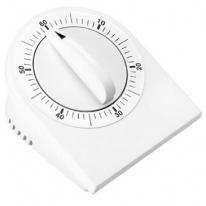 60 Minute Kitchen Timer (Chief I) Plastic finished. Size : Appx. 2" x 3" Imprint Area : 1/2" x 3/4" PCS/LB : 100/30. 60 Minute Kitchen Timer (Chief II) Plastic finished. Size : Appx. 2" x 3" Imprint Area : 1/2" x 3/4" PCS/LB : 100/30. 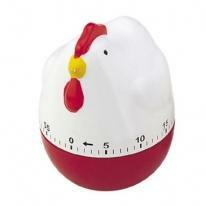 60 Minute Kitchen Timer (Chicken) Plastic finished. Size : Appx. 2" x 3" Imprint Area : 1/2" x 3/4" PCS/LB : 100/30. Kitchen Timer Desktop Plastic finished. Size : Appx. 2" x 3" Imprint Area : 1/2" x 3/4" PCS/LB : 100/30. 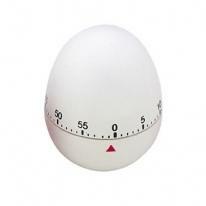 60 Minute Kitchen Timer (Egg) Plastic finished. Size : Appx. 2" x 3" Imprint Area : 1/2" x 3/4" PCS/LB : 100/30. 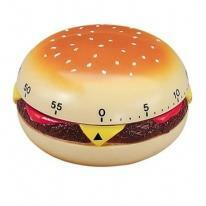 60 Minute Kitchen Timer Hamburger Plastic finished. Size : Appx. 2" x 3" Imprint Area : 1/2" x 3/4" PCS/LB : 100/30. 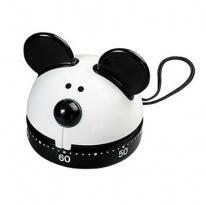 60 Minute Kitchen Timer (Mouse) Plastic finished. Size : Appx. 2" x 3" Imprint Area : 1/2" x 3/4" PCS/LB : 100/30. 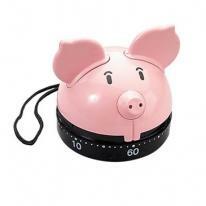 60 Minute Kitchen Timer (Pig) Plastic finished. Size : Appx. 2" x 3" Imprint Area : 1/2" x 3/4" PCS/LB : 100/30. 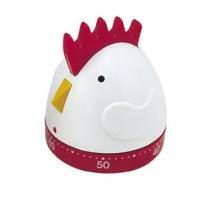 60 Minute Kitchen Timer (Rooster) Plastic finished. Size : Appx. 2" x 3" Imprint Area : 1/2" x 3/4" PCS/LB : 100/30. 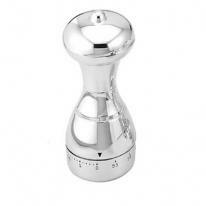 60 Minute Kitchen Timer Blender Chrome finished. Size : Appx. 2" x 3" Imprint Area : 1/2" x 3/4" PCS/LB : 100/30. 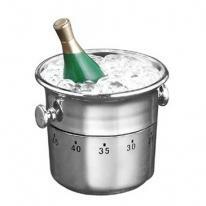 60 Minute Kitchen Timer - Champagne In Bucket. Size : 2" x 3" Imprint Area : 1/2" x 3/4" PCS/LB : 100/30. 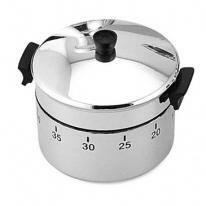 60 Minute Kitchen Timer Stock Pot. Size : Appx. 2" x 3" Imprint Area : 1/2" x 3/4" PCS/LB : 100/30. 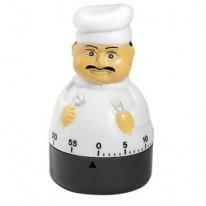 60 Minute Kitchen Timer Pepper Jug. Size : Appx. 2" x 3" Imprint Area : 1/2" x 3/4" PCS/LB : 100/30. 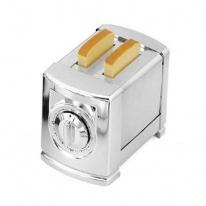 60 Minute Kitchen Timer Toaster. Size : Appx. 2" x 3" Imprint Area : 1/2" x 3/4" PCS/LB : 100/30. 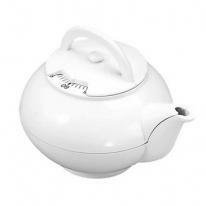 60 Minute Kitchen Timer Tea Pot Plastic finished. Size : Appx. 2" x 3" Imprint Area : 1/2" x 3/4" PCS/LB : 100/30. 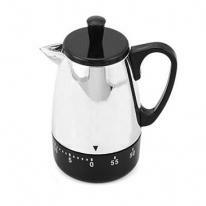 60 Minute Kitchen Timer Coffee Pot. Size : Appx. 2" x 3" Imprint Area : 1/2" x 3/4" PCS/LB : 100/30. 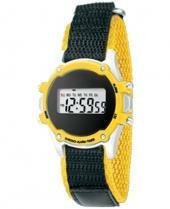 Bold colored case with matching canvas band strap. 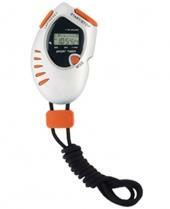 Stopwatch with precision timing. Day of week display and Alarm. Price includes one colro/one position silkscreen imprint. (Please do not combine Men's and Ladies' styles for a total quantity pricing). Product Size: 3-3/4"H x 2"W x 1/2" Imprint Area: 1/4"H x 3/4"W Weight: 100pcs / 12lbs. Black rubber and, metallic silver watch case and bold color face insert. EL Back light. 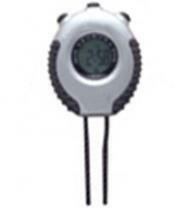 Stopwatch with precision timing, day-of week and alarm. Price includes one colro/one position silkscreen imprint. (Please do not combine Men's and Ladies' styles for a total quantity pricing). Imprint Area: 3/16"H x 1/2"W Weight: 100pcs / 16lbs. Ready to race! 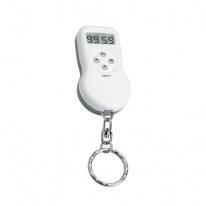 This full function stopwatch comes on a swivel keyring/clip and features a clock and alarm. Finish/Material: Plastic Dimensions: 1 1/2" W x 2 1/2" H Imprint Area: 1/2" W x 1/2" H Shipping Information: Carton Size: Box Length: 17.70 Box Width: 15.00 Box Height: 13.80 Standard Packaging: Individually Carton Weight: 30 lbs. / 300 pcs. 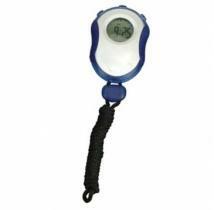 Display current time, Count up/down to 99 hrs and 59 min, Memo clip with magnet, stand and hole for rope. 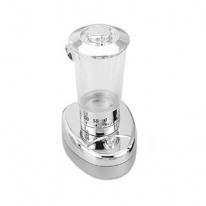 Size : 2 1/4" X 2 3/4" X 1" Imprint Area : 1/2" X 3/8" PCS/LB : 200/16 Battery : 1XAAA (Not included) . 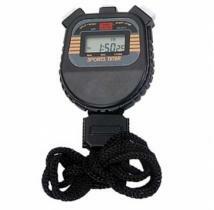 Count up and count down to 99 min/ 59 sec Clock function With wall hanger, back stand and back magnet Battery : 1 x AAA (Included). Size : 3" x 2 5/8" x 1" Imprint Area : 1 3/4" x 1/2" PCS/LB : 100/27. 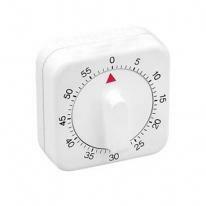 Analog clock & 60 minutes mechanical timer Battery : 1 x AA (Not Included). 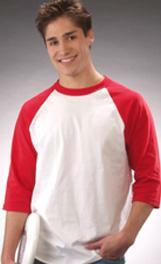 Size : 6 1/4" x 3 3/4" x 2 1/2" Imprint Area : 2" x 1/2" PCS/LB : 36/24. 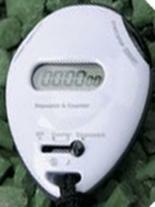 Timer count down/ count up to 99 hrs & 59 minutes 10 second recording for parking Use as regular clock. Size : 1 3/8" x 2 3/4" x 3/4" Imprint Area : 1" x 3/4" PCS/LB : 250/40. Metallic Silver case. Jumbo digital display. EL backlight. 2-Tone rubber comfort band. Price includes one colro/one position silkscreen imprint. (Please do not combine Men's and Ladies' styles for a total quantity pricing). Imprint Area: 1/4"h x 1/2"w Weight: 100pcs / 19lbs. 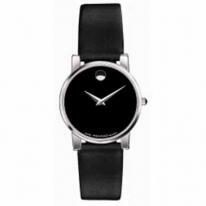 The art of Movado is the art of time. Since its founding in 1881 by 19-year old entrepreneur Achille Ditesheim in the village of La Chaux-de-Fonds, Switzerland, Movado has achieved a legacy of design innovation, earning more than 100 patents and 200 international awards for artistry and innovation in watch design and time technology. Two year manufacturer`s limited warranty Saphire crystal Water resistant.